Rhode Island College's studio arts building was first built in 1958 as a library and dining hall, and converted to academic uses a few years later. Its deficiencies included a lack of natural light and many health and safety problems. 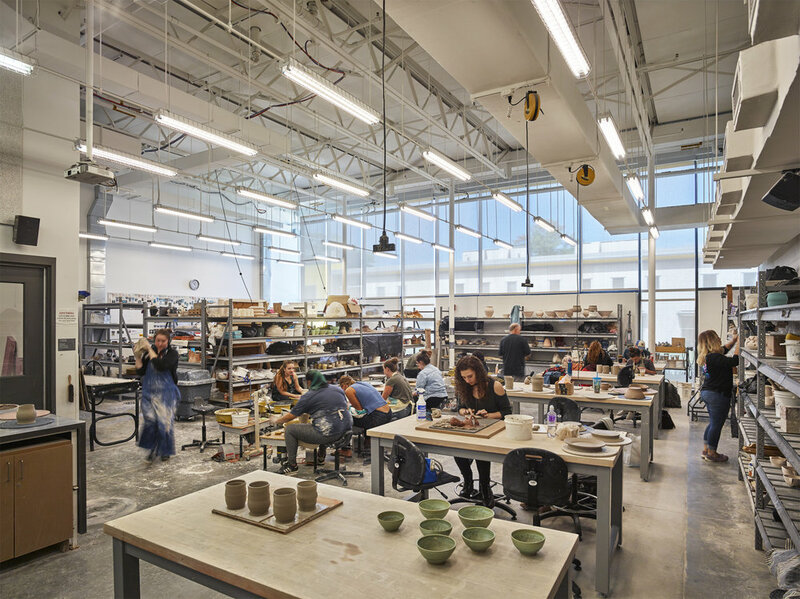 The new Art Center replaces portions of the original building with a new structure designed to centralize programs previously scattered around campus and provide abundant natural light and state of the art ventilation and safety systems. A two story addition, with the second floor clad in copper, faces the main entrance to the campus. Outdoor work courts for ceramics and sculpture are located at the opposite end of the building. Mechanical and Plumbing Engineer: Thompson Consultants, Inc.
Electrical Engineer: Architectural Engineers, Inc.